Conducted throughout 2014, the interviews in this collection are those of City University of New York (CUNY) students, staff and faculty. Interviewer and collection curator Douglas A. Medina, PhD candidate in the Political Science Program at The Graduate Center, CUNY, explores how a community, led primarily by student activists, came together to challenge the idea of merit and racial exclusion at CUNY. In the context of Medina’s research on the Open Admission program and the imposition of tuition at the university, the interviews unpack the relationship between race, class and the purpose of a public higher education. 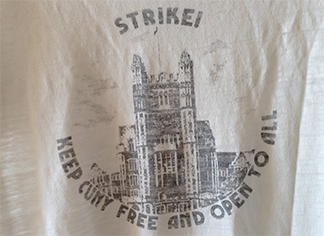 Between 1969 and 1976 CUNY was a historical site of student and community activism. Inspired by post-Civil Rights era movements and ideologies—including Black Power, anti-imperialism, Marxism, and the New Left—students at many CUNY colleges were in the vanguard in the struggle for Blacks and Puerto Ricans to access a free, quality higher education. 1. Establishment of a separate school of black and Puerto Rican studies. 2. A separate orientation for black and Puerto Rican freshman. 3. A voice for students in the setting of guidelines for the SEEK program, including the hiring and firing of personnel. 4. The racial composition of all entering classes should reflect the Black and Puerto Rican population of the New York City high schools. 5. Black and Puerto Rican history and the Spanish language should be a requirement for all education majors. The interviews about Open Admissions represent an array of perspectives from several CUNY colleges. Student, administrative staff and faculty voices highlight the complexity of the issues that arose. The debates that shaped both Open Admissions and the imposition of tuition resonate today in conversations about The American Dream, merit, college affordability, and race and class politics. This collection represents a small but significant part of the quest to not only preserve the lessons of the past as told by individuals from the CUNY community, but also show the attempt to change the future trajectory of CUNY as a necessary public institution of higher education.